Every year over 200 million peasants flock to China’s urban centers, providing a profusion of cheap labor that helps fuel the country’s staggering economic growth. 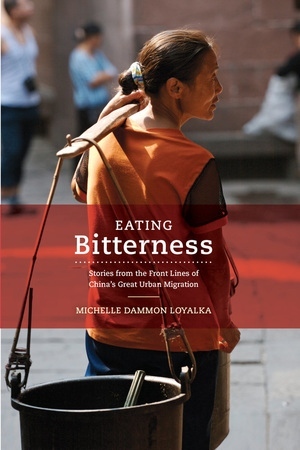 Award-winning journalist Michelle Dammon Loyalka follows the trials and triumphs of eight such migrants—including a vegetable vendor, an itinerant knife sharpener, a free-spirited recycler, and a cash-strapped mother—offering an inside look at the pain, self-sacrifice, and uncertainty underlying China’s dramatic national transformation. At the heart of the book lies each person’s ability to “eat bitterness”—a term that roughly means to endure hardships, overcome difficulties, and forge ahead. These stories illustrate why China continues to advance, even as the rest of the world remains embroiled in financial turmoil. At the same time, Eating Bitterness demonstrates how dealing with the issues facing this class of people constitutes China’s most pressing domestic challenge. Michelle Dammon Loyalka has lived in China for 13 years, during which time she has written a language-learning textbook, launched a business consulting company, co-hosted a radio talk show in Mandarin, and headed the educational products division of a Chinese software company. A freelance journalist and editor, Loyalka holds a master’s degree from the Missouri School of Journalism and currently lives in Beijing. "Eating Bitterness is filled with carefully researched and deeply empathetic profiles of individual Chinese workers. It's also a meticulously crafted book, which shows through even in details such as the titles given to chapters. Who wouldn't want to read about 'The Nowhere Nanny,' 'The Landless Landlords,' and 'The Big Boss'? These titles suggest a work of fiction. And even though the tales found here come straight from the author's interviews, reading them proved the same sort of pleasure as making my way through a collection of short stories by a master of that genre. "—Jeffrey Wasserstrom, author of China in the 21st Century: What Everyone Needs to Know. 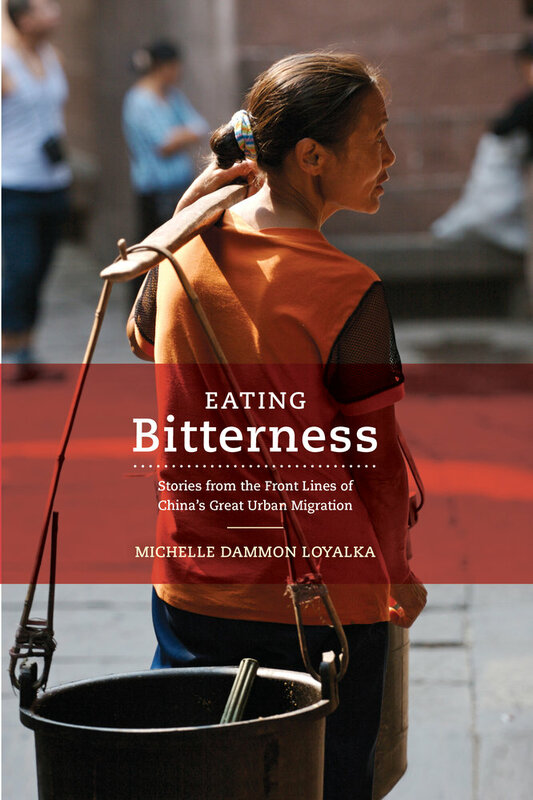 "Michelle Dammon Loyalka’s Eating Bitterness tells the story of those who are at the bottom of Chinese society, their hopes, struggles, and above all, their perseverance in enduring hardship in life. It’s an untold story and a must-read for anyone who wants to know the real China. "—Helen H. Wang, author of The Chinese Dream. "The great migration in rural China could be the most significant population shift today, influencing business practices, consumer habits, and cultural expectations around the world. Michelle Loyalka takes us behind the stunning demographics into the hearts and minds of the urban pioneers with unforgettable portraits of courage and despair. Her remarkable insight and candor make an indelible impression, erasing any distance between readers and subjects. "—Mary Kay Blakely, author of American Mom: Motherhood, Politics, and Humble Pie.